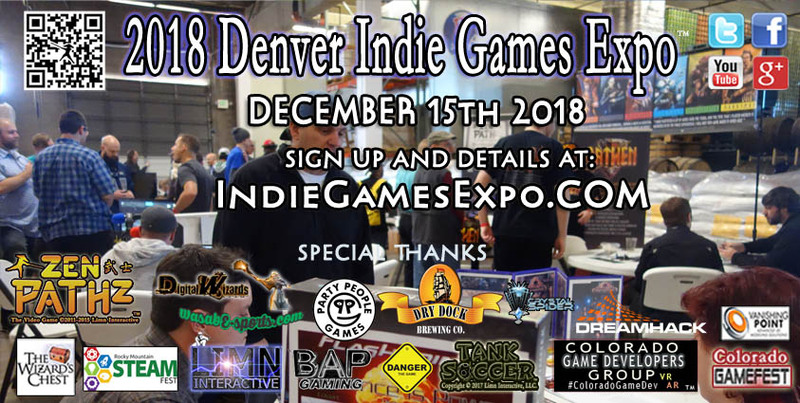 Sign up for the 2018 Denver Indie Games Expo before it is full and join us at the largest, longest running Indie Games Expo in Colorado. See some of the top games of 2018 and meet with Colorado game companies and more. Denver and Boulder virtual reality companies, colorado indie game developers, artists, musicians and others attend every year. You can play our eSports games at top gaming conventions in the U.S. coast to coast. Based in Colorado, we have attended and contributed to the best Denver eSports and Colorado eSports events longer than any other game companies in Colorado. You can play our eSports games at top gaming conventions in the U.S. coast to coast. ZenPathz now supports 4K gameplay and will be featured on the big screen at the Denver XBOX ONE X launch party. Don’t miss us Monday, November 6th 9:00pm – 12:00 Midnight at the Park Meadows Microsoft Store Denver. 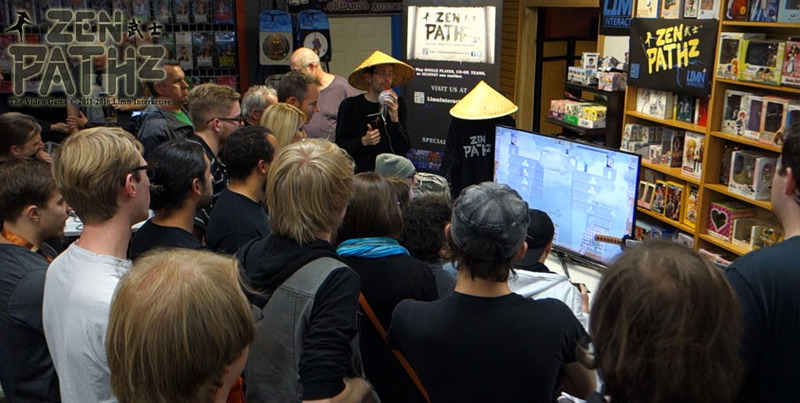 Stop by to enter the ZenPathz tournament on the largest screen and join us for food, prizes, giveaways and more. Also be sure to sign up for the 2017 Denver Indie Game Expo before it is full. This will be our biggest event yet at our largest venue so far. Dry Dock, Colorado’s award-winning premier craft brewery will be hosting the 2017 event. Join the top Colorado Game Developers, Colorado Virtual Reality Developers and others for this great opportunity to interact with or show off games, demos, art, virtual reality, and music in Denver. Interested in the best 2017 indie games, virtual reality games, hardware like the Oculus Rift, HTC Vive, PlayStation VR, etc? Play some of the best Denver virtual reality games, Colorado video games, prototypes and commercial games at the 2017 Denver Comic Con Video Games and VR Party celebrating the grand opening of the Denver Head Games VR Virtual Reality Arcade. Stop by our 2017 Denver Comic Con Virtual Reality and Video Games booth near the DreamHack Denver Hall of Games area to check out our games under development and for free drink tickets, raffle tickets and more. 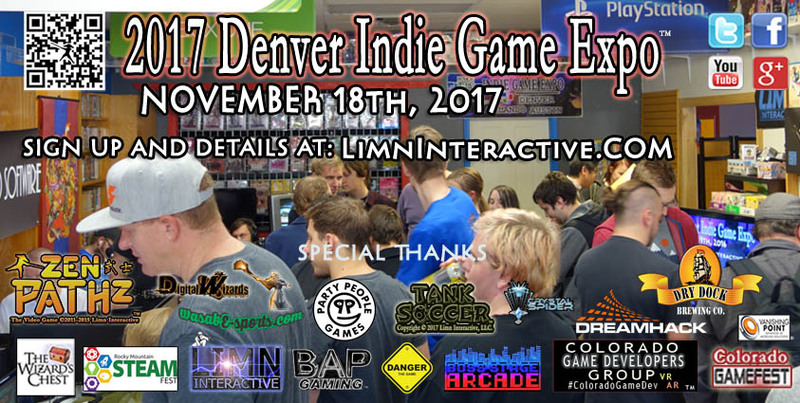 Also RSVP at the Colorado Game Developers Meetup and be sure to sign up for the 2017 Denver Indie Game Expo before it is full. 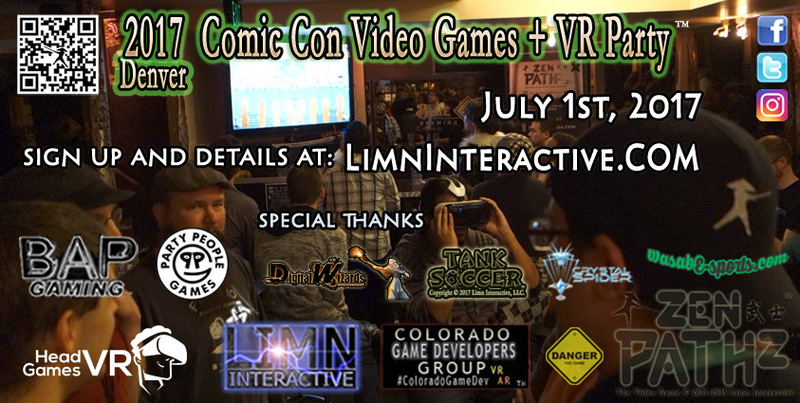 This will be our sixth annual Denver Indie Game Expo and Video Games VR Party celebrating gaming and comic conventions in Denver, Colorado Springs, Ft. Collins and surrounding areas. This event is free to attend and open to the public. You just need to RSVP before full. The Video Games VR Party is not affiliated in any way with the Denver Comic Con brand, as created by Pop Culture Classroom. No badges required. Play some of the best indie games of 2017 from around the world at the Indie Game Expo in Austin, Denver, Orlando and other locations this year. More great prizes and giveaways are also planned. You can now sign up before before it fills up HERE thanks to our great sponsors, friends, and partners. See some of the best indie games from GDC and SXSW at the Austin Indie Game Expo. 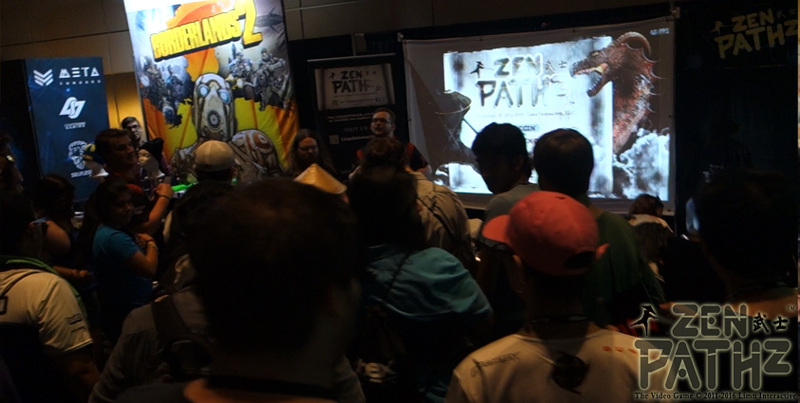 Play Zen Pathz, Tank Soccer, Double Vision, Danger and others followed by the Orlando Indie Game Expo and Denver Indie Game Expo events. Can’t get tickets or make it to E3, GDC, SXSW, PAX or other events in 2017? RSVP to experience some of the best games at Indie Game Expo this year and vote on your favorites. The hottest indie games party during South by Southwest 2017 is only two weeks away. Join us March 15th at the 2017 Austin Indie Game Expo indie game party during SXSW. Celebrate the latest in games and game development with us at one of the best annual Indie Game Festivals. Stop by and play a showcase of the top new video games and tabletop games under development from around the world. Meet game developers, virtual reality (VR) developers, musicians, artists and others shaping the future of independent games and VR. RSVP HERE for one of the best gaming parties during SXSW 2017 before full. Join us for the raffle, laser projection gaming and more in a great atmosphere with a large selection of craft beers from around the globe. There will be SXSW video games and tabletop games but this party is not affiliated with South by Southwest and is open to the public. Our games showcase is not an official SXSW showcase nor are we affiliated in any way with SXSW. 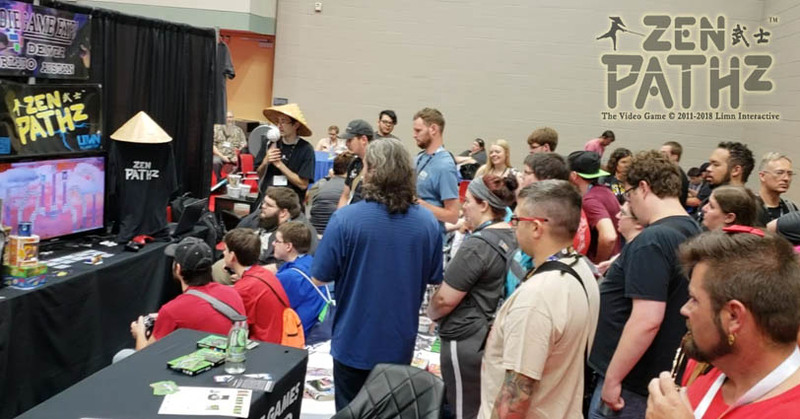 We continue to run our eSports indie games at the best gaming conventions, barcades, movie theaters, and other locations across the U.S. We also contribute to a variety of events and shows every year. After the 2017 Game Developers Conference (GDC 2017) in San Francisco, we head back to Austin in March for the 2017 Austin Indie Game Expo and South by Southwest 2017. Be sure to RSVP for the 2017 Austin Indie Game Expo before it fills up HERE. 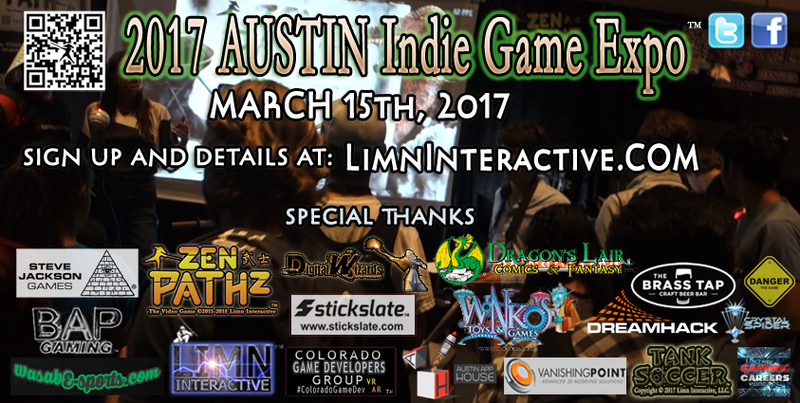 Stop by and play Zen Pathz, Tank Soccer and other great games and for a chance to win tickets, and other prizes at AIGE 2017 and the 2017 SXSW Gaming Festival at the Austin Convention Center. 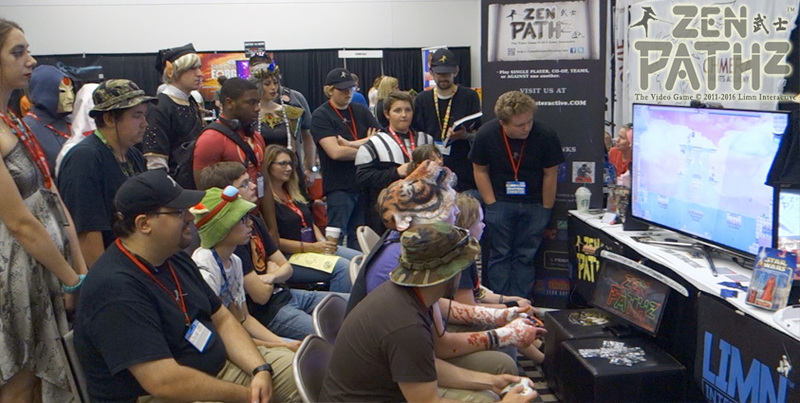 Our ZenPathz eSports game still popular after long day of gaming at Comic Con. Meet Colorado Virtual Reality (VR), Denver Augmented Reality (AR), Colorado Game Developers and more at the fifth annual Colorado AFTERJAM. See Colorado Global Game Jam 2017 games, Ludum Dare, Denver Hackathon, or other prototypes. Join Denver video game companies, artists, musicians, Colorado indie game developers, Colorado eSports gamers and others to demo and discuss the latest in VR, AR, and gaming hardware. Chat about the latest Colorado video game jobs, AR projects, VR jobs, etc. 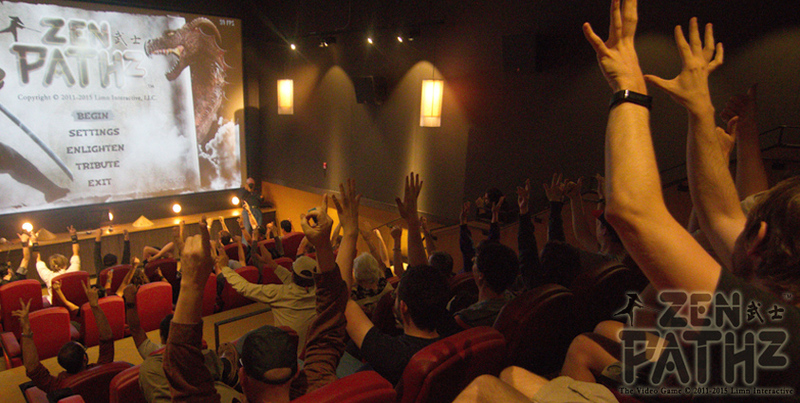 Thanks to the Colorado Game Developers Group, the longest formal gathering of game developers in the U.S. which now has a new meetup you can join free HERE. 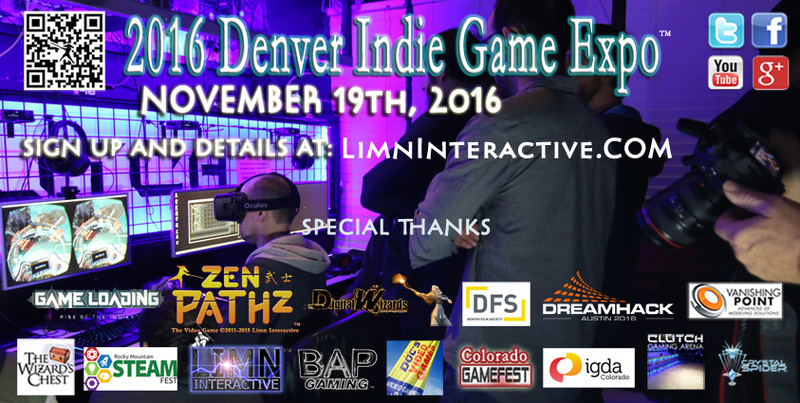 Also, special thanks to Microsoft, Denver Indie Game Expo, DreamHack Denver, DFS and our other sponsors, partners and friends. 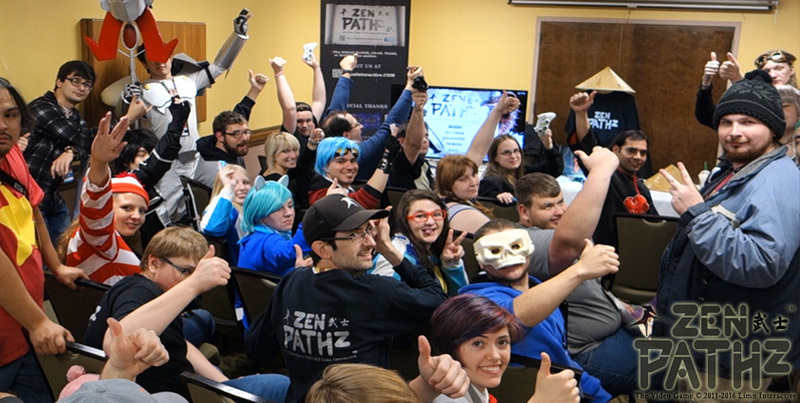 ZenPathz indie game demo at 2016 Denver Indie Game Expo. We are also excited to announce the next event our ZenPathz eSports game will be at is right in our own backyard. Our Aurora Colorado eSports built title ZenPathz and another new eSports title we plan to debut will be played next to more of the best eSports games this February. Join us at the next big Denver eSports event at the largest convention center next to Aurora Colorado thanks to WasabE-sports and BAP GAMING the largest and longest running eSports group in Colorado. One of the best Denver video game parties of 2017 will also be happening at that event. ZenPathz eSports game at 2016 Denver Aurora Colorado eSports finals. See our schedule for some of the events we will be at next HERE. Follow us on Facebook, Instagram, Twitter, and more. We are still working on our eSports and VR titles and now with several Denver virtual reality companies. We also continue to travel to the largest gaming events around the U.S. Some of the best ZenPathz eSports tournaments have recently been played in movie theaters, at DreamHack Austin, Denver Comic Con, QuakeCon, MegaCon, EVO, Intel LAN Fest, PAX, GameFest, Pinball Showdown and others. We also enjoy getting out of the studio and seeing the great matches, cheering, casters, and cosplay. Also watching Billy Mitchell, John Romero and other legendary gamers play our game won’t be forgotten. ZenPathz eSports game at DreamHack Austin 2016 North American Debut. 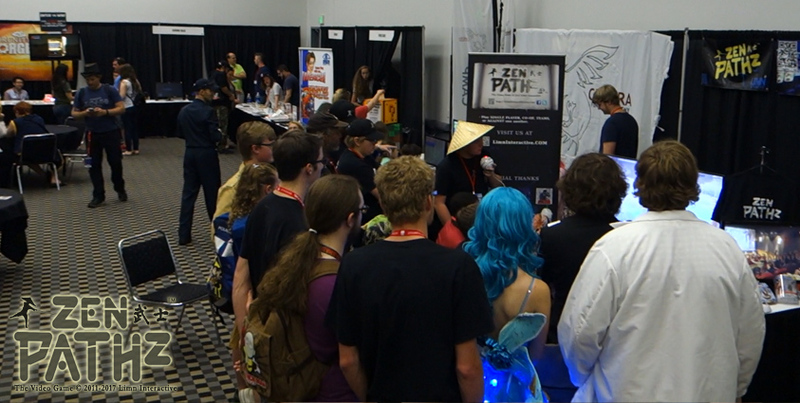 We drew the largest video games crowds at Denver Comic Con 2016 at our ZenPathz booth again this year. We are excited to continue to be part of this event as it has grown to the third-largest comic-book convention in the country since helping start the video game area the first year. 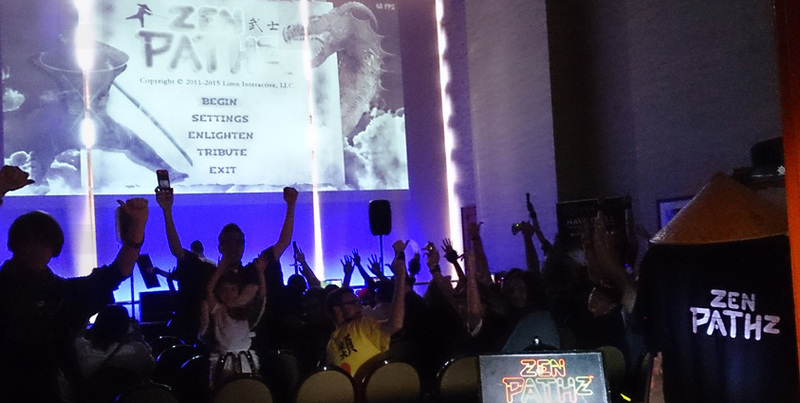 ZEN PATHz Denver eSports tournament at the 2016 Denver Comic Con. Interested in working with us or would you like to play our latest eSports or virtual reality game in Colorado? 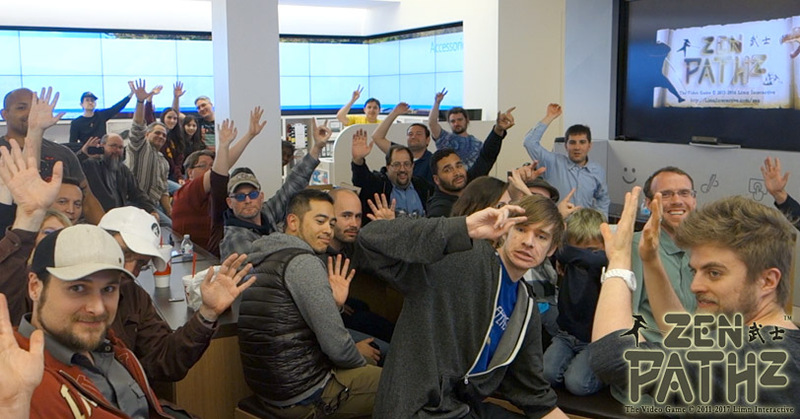 Join us next on July 5th at the Denver Microsoft Store or RSVP for the 2016 Denver Indie Game Expo before it fills up HERE. Also see our schedule for what events we will be at next. Follow us on Facebook, Instagram, Twitter, and more. 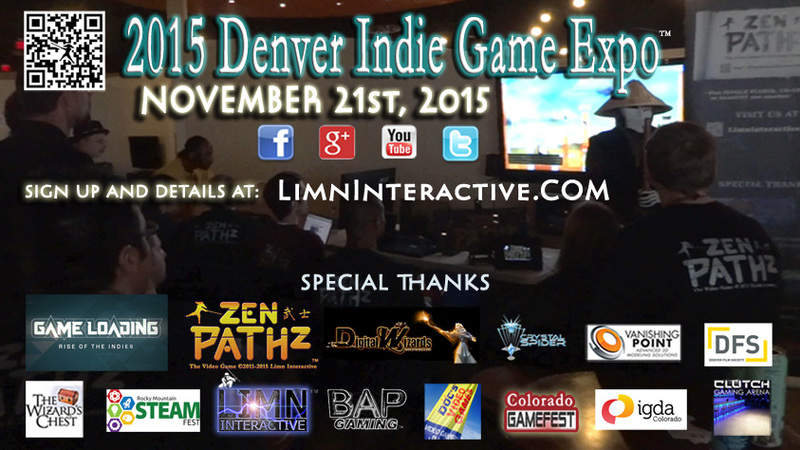 RSVP for the 2015 Denver Indie Game Expo before it fills up HERE. Our last few events filled to capacity. Follow us on Facebook and Twitter to find out first when we will be gaming on the MOVIE SCREEN again including some big Denver SmashBros tournaments and Colorado eSports tournaments. 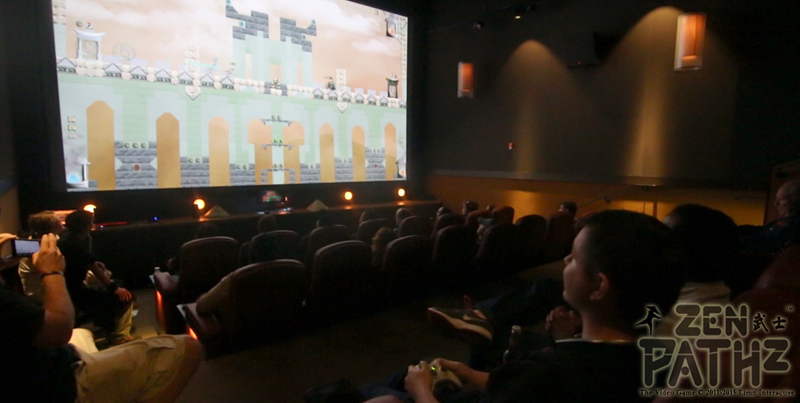 ZenPathz fighter/platformer Denver eSports tournament on the movie screen. 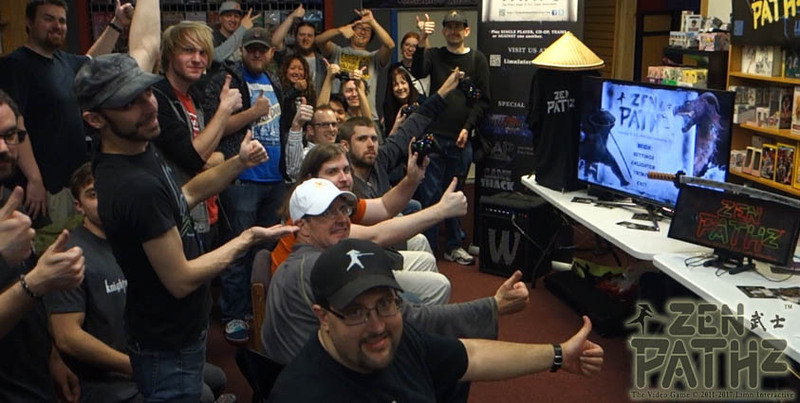 We also have great Colorado Video Game parties planned for the 2015 holiday season. We have Colorado virtual reality companies, Denver Oculus Rift developers, Boulder game developers, Denver game developers, and more involved. Play popular new games and demos as well as Denver retro games, indie games, ZenPathz and others. 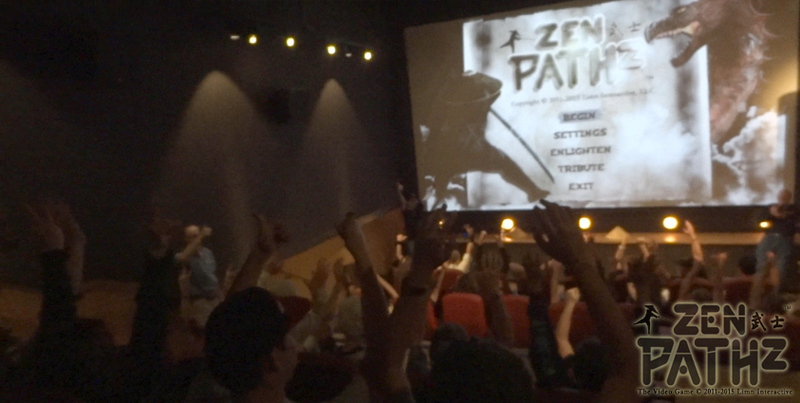 ZenPathz fighter/platformer eSports game sold out on the big screen.